In Los Angeles, more than thousand people sleep on the street in cardboard boxes and tents — just a mile away from City Hall. This is Skid Row, and compared to the affluent downtown areas that practically surround it, the area is like a different planet. Fifty blocks of sidewalk are jammed with people who live on the street, with all of their worldly possessions crammed into shopping carts and crates. In the hot midday Southern California sun, the place stinks of urine, human excrement and garbage. Last year, there was a major outbreak of tuberculosis. 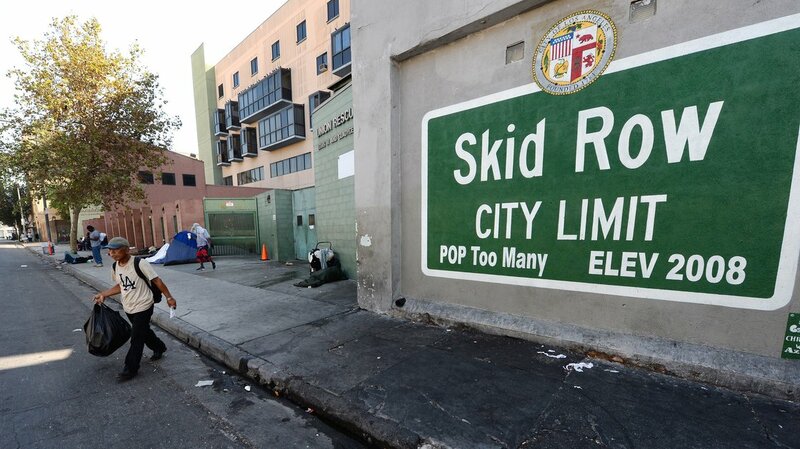 A lot of people want to fix Skid Row, but how it’s done is extremely controversial. And as downtown Los Angeles develops, it’s a problem that’s become more and more urgent. Leah, who didn’t want to give her last name, sells cigarettes along Skid Row. She says she’s seen some changes lately. But a lot of people — including some with very deep pockets — disagree. At a recent discussion last month about the future of Skid Row, developer Tom Gilmore said that people need to deal with the fact that downtown is going to continue to develop. “There will be development in Skid Row. There will be,” Gilmore said. He says development doesn’t mean reducing services for the homeless, but some disagree; they believe that development will simply force out the people who live on Skid Row. Long-time activists say that there is a real danger that growth in the area will simply ignore the needs of the thousands living in poverty. But new residents and businesses say they want to play a role in improving Skid Row. Blair Besten, the executive director of the Historic Core Business Improvement District, helped organize the panel discussion where Gilmore spoke. The business improvement district collects taxes from local property owners, and that money pays for street cleanups and private security patrols. Besten says the homeless people on Skid Row used to be easier for the city to ignore, but with more people moving downtown, that’s changing. “A sense of shame is really motivating people now to finally address this issue, because it’s so apparent in the streets everywhere you look,” Besten says. On a recent morning, the lobby of the Union Rescue Mission is packed. They have been working on Skid Row for decades. The Mission feels like a cross between an apartment building and a secure court facility. It provides shelter for about 800 people, split among private rooms and dorms. The Mission also provides substance abuse counseling and other services. It’s a Christian charity, though non-Christians and non-believers are welcome here. Shelters like the Union Rescue Mission continue to fill up with people in need. “What I describe Skid Row as is the biggest man-made disaster in the United States,” says the Rev. Andy Bales, who runs the Mission and has worked on Skid Row for almost 10 years. Bales says things had been improving on Skid Row, but they’ve taken a bad turn since the recession. He says hospitals from the region, and even other states, have been dumping homeless patients on Skid Row illegally, and that jails are releasing inmates without enough preparation. Resources have also been reduced for shelters in favor of other approaches. Bales says fear had once left Skid Row — but now it’s back. Bales says the answer for this is decentralizing services, and that ideally people should receive treatment and help in their own communities. But he says it can be difficult to convince neighborhoods to accept new homeless shelters, affordable housing or treatment facilities. Another source of shelter for some of Los Angeles’ chronically homeless had its grand opening earlier this month: the Star Apartments on Skid Row. The building, developed by the non-profit Skid Row Housing Trust, is beautiful, modern and bright. There are more than 100 apartments where the homeless can stay permanently, turn their lives around and get easy access to a health clinic and other services on-site. Jude Burns is one of the residents at the Star Apartments. He is only 44 years old, but uses a cane that he says helps him walk through the pain in his spine and feet. Burns moved in about a year ago. He and the other residents were allowed to settle in before the recent grand opening. But he didn’t always need this type of help. Burns moved to L.A. a few years back to be closer to his 14-year-old son. He had been diagnosed with diabetes, but he says he had it under control. Then on New Year’s Eve 2011, his son was shot and killed in South LA, an apparently random murder. It sent Burns into a deep depression. “After my son’s death, my health just started going completely downhill,” he says. The diabetes got worse; he got pancreatitis, and then came the complications. He needed two surgeries. For a while he bounced around between the couches of friends and hospitals. “I would say I was in the emergency room at least once every two months,” he says. After one of his surgeries, his luck changed. A hospital social worker linked Burns up with temporary housing through Lamp Community on Skid Row, and they told him about the Star Apartments. “Now I got my own place, and my own keys. And man, I’m happy about that. Thankful,” he says. Burns says it was the first time in three years he had his own stove, his own refrigerator and his own bathroom. And most importantly, Burns doesn’t have to drag himself to the emergency room to see a doctor or a social worker, since there are case-workers onsite downstairs, alongside a health clinic that’s opening with staff doctors and nurses. “Everything is right here,” Burns says. This model of ending homelessness is called “permanent supportive housing.” The idea is that the best way to tackle homelessness, as well as handle all the chronic health and mental health problems, is to get people housed first and then work on the other issues — issues which can seem extremely challenging. Trotz’s program is helping run the Star Apartments, and they have actually moved staff inside the building. He says that they know a home doesn’t miraculously cure mental illness or long-term substance abuse issues, but that it’s almost impossible to address those issues when someone is homeless. He calls Skid Row a “health disaster zone,” where the population is stuck in a cycle that revolves from the street to hospitals, jails, maybe treatment centers or shelters — and then back to the street. “[You] can do that for 5, 10, 15 years and just steadily decline in health and die, essentially,” he says. Trotz and the county want to break that cycle by creating buildings like the Star Apartments throughout Los Angeles County. According to Trotz they’ve created 700 units in the county so far, with a goal of 10,000 by 2018. Dennis Culhane, a professor of social policy at the University of Pennsylvania, says experience has shown that permanent supportive housing works. Culhane says these programs frequently save government money, too, by reducing ER visits and time in jail. Some shelters worry that the focus on permanent supportive housing will shortchange emergency services for the majority of the homeless. And at its current rate, the county is well behind schedule on meeting its goal of creating 10,000 units of permanent supportive housing. Malala Yousafzai, the Pakistani teen who was attacked by Taliban militants for promoting education for girls, will share the 2014 Nobel Peace Prize with Kailash Satyarthi, an Indian campaigner against exploitation of children. 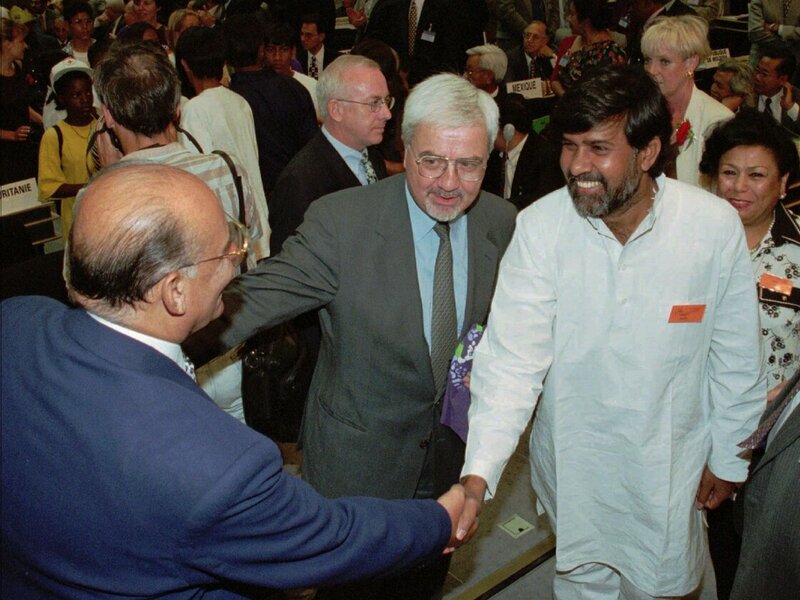 “Showing great personal courage, Kailash Satyarthi, maintaining Gandhi’s tradition, has headed various forms of protests and demonstrations, all peaceful, focusing on the grave exploitation of children for financial gain. He has also contributed to the development of important international conventions on children’s rights. Yousafzai, 17, defied the Taliban in her town of Mingora in Swat Valley, near the volatile western frontier dividing Pakistan and Afghanistan. In October 2012, Taliban militiamen boarded a school bus she was on, singled her out and shot her in the left side of the head. Two other girls were also wounded in the attack. Left in critical condition, Yousafzai received an outpouring of international support and was moved to the U.K. for treatment. 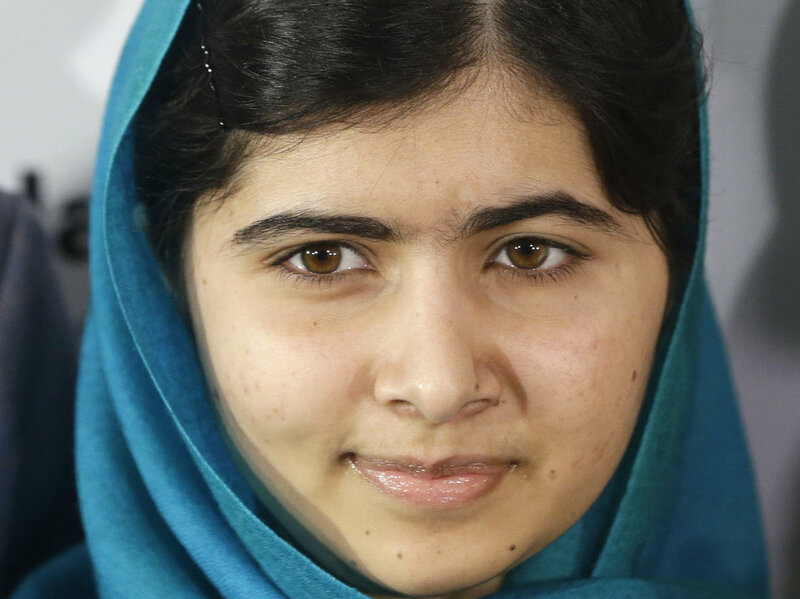 “Malala battled for her life, and came back to become an international ambassador for the rights of girls to be educated,” NPR’s Julie McCarthy says. In July 2013, Yousafzai addressed the United Nations, telling delegates that the Taliban “thought that bullets would silence us, but they failed. She is a previous recipient of the Sakharov Prize and was first nominated for the Peace Prize last year. She now lives in Birmingham, England, but the Taliban have threatened to target her again. Yousafzai is the youngest-ever Nobel laureate. Speaking in Birmingham hours after the award was announced, Yousafzai said she was in chemistry class when her teacher informed her she’d won. She called the Peace Prize a “precious award” and “a great honor” and said her co-recipient, Satyarthi, “totally deserved” the prize. “This is not the end. This is really the beginning. I want to see every child going to school,” she said. Satyarthi, 60, is a longtime activist against child labor and for better education of children in South Asia. In his 20s, he gave up a career as an electrical engineer and “dedicated his life to helping the millions of children in India who are forced into slavery by powerful and corrupt business- and landowners,” PBS writes. “His original idea was daring and dangerous. He decided to mount raids on factories — factories frequently manned by armed guards — where children and often entire families were held captive as bonded workers. “Since 1980, he has led the rescue of over 75,000 bonded and child slaves in India and developed a successful model for their education and rehabilitation. Kailash has emancipated thousands of children from bonded labor, a form of slavery where a desperate family typically borrows needed funds from a lender (sums as little as $35) and is forced to hand over a child as surety until the funds can be repaid,” the RFK Center says. Speaking to NPR in 2011, Satyarthi decried the rise of female feticide — or so-called selective abortions — in India, explaining: “The parents feel that the boy is a help for the future, where the girl is a liability. “If we spend money on her, then we have to spend money on her marriage, dowry probably, and then if something goes wrong, then we are always sufferers. So better that that girl is not born,” he said, explaining the reasoning of some parents in India. In 2008, Shannon O’Donnell decided to travel the world. Through her blog http://alittleadrift.com/blog/ Shannon changes the lives of travelers with stories, photographs and advice. She founded an independent database for grassoots organizations all over the world – http://grassrootsvolunteering.org – and she speaks to highschool and college students about the importance of cultivating global citizenship and supporting ethical international volunteering organizations. Here’s a clip of Shannon talking with Daytime, a lifestyle show broadcast on WFLA TV/Tampa Bay, about how Just Doing Something really can make a difference. Joe Carbone was a New York kid who loved trouble and hated school. But he caught a lucky break as a teenager: he had his eyes tested and got his first pair of glasses. It changed his life. Joe could finally see, and he learned how to stay out of trouble and decided he could make something of his life. So he became an optician — the person who crafts lenses according to a prescription’s specification. But there was a nagging question he felt he had to answer: What about all the kids just like him whose lives could be changed with a simple eye exam and a pair of specs? Eye Care for Kids was born in a Utah strip mall in 2001, and Joe’ s little clinic is about to see its 100,000th kid. He mortgaged his house to start the charity — where everything is free. And when he runs out of money the charge is $25. That’s making a difference.